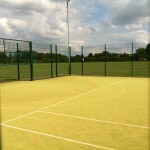 Sand dressed surfacing is a perfect surface specification for playing hockey. 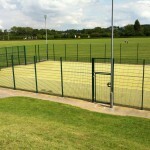 A thin layer of sand is installed at the base of the grass fibres and helps to improve the stability of the surface while providing protection and support for the fibres of the 2G sports pitch. We are able to install these surfaces to suit a range of specifications and sizes, so feel free to contact us for more details. Just fill in the contact box on this page and we’ll reply back as soon as we can with a quote. 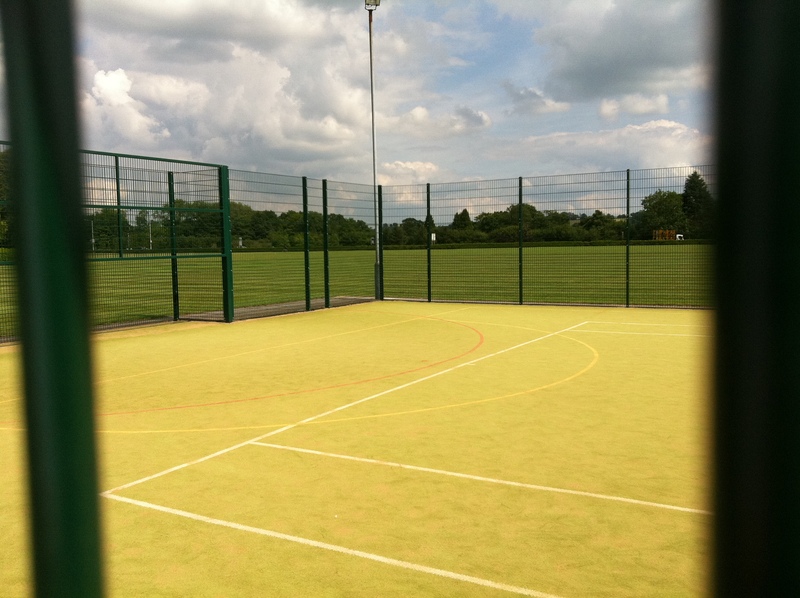 The sand dressed turf sports pitch has great durability and provides excellent performance characteristics especially for hockey as it allows the ball to glide along the surface. 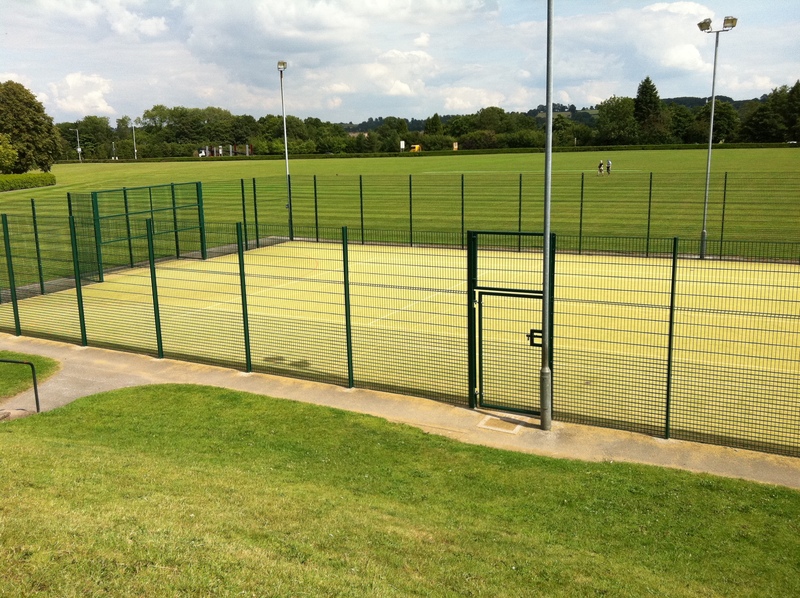 A shockpad can also be installed as part of the construction process of the sand dressed artificial grass specification; shockpads provide impact absorption to prevent injuries to players’ joints and muscles, while still maintaining good playing qualities. 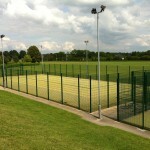 Specialised sports floodlighting and fencing can also be installed as part of a hockey facility construction project, these extra features can help maximise the efficiency of your sports surface and even help your organisation generate more revenue. 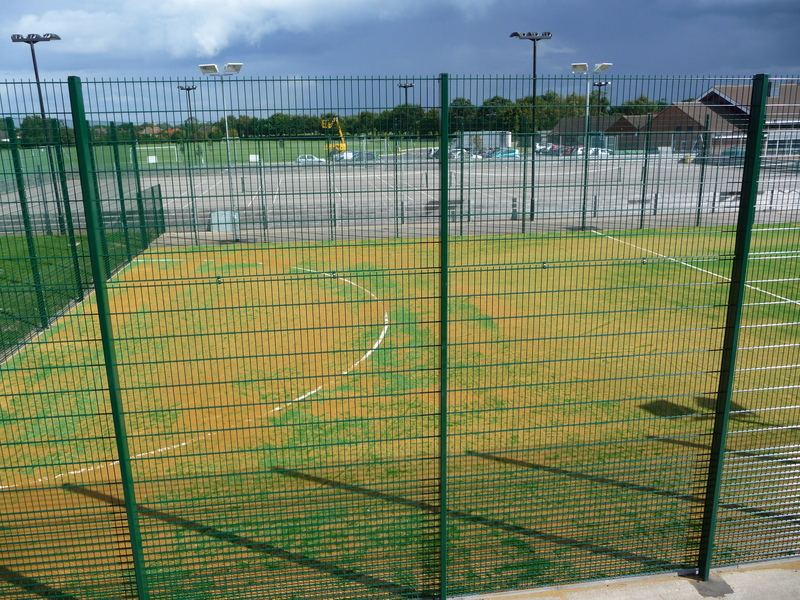 It is important to carry out regular cleaning and maintenance for this kind of synthetic turf surface to ensure that the sand levels are topped up and that the pitch has not become contaminated by dirt and debris. 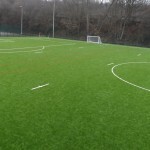 If an appropriate maintenance schedule is not put into place, the artificial carpet could become damaged and start to hold water which would make the facility unsafe for players. 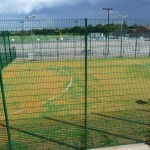 Many organisations throughout the UK including schools, universities and sports clubs are choosing to replace old, worn out grass sports pitches with new sand dressed synthetic turf facilities. 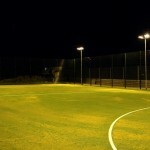 The technological advancements of these sand dressed sports surfaces mean that they are more durable and long lasting, while providing good performance and safety qualities to ensure a good experience for players. 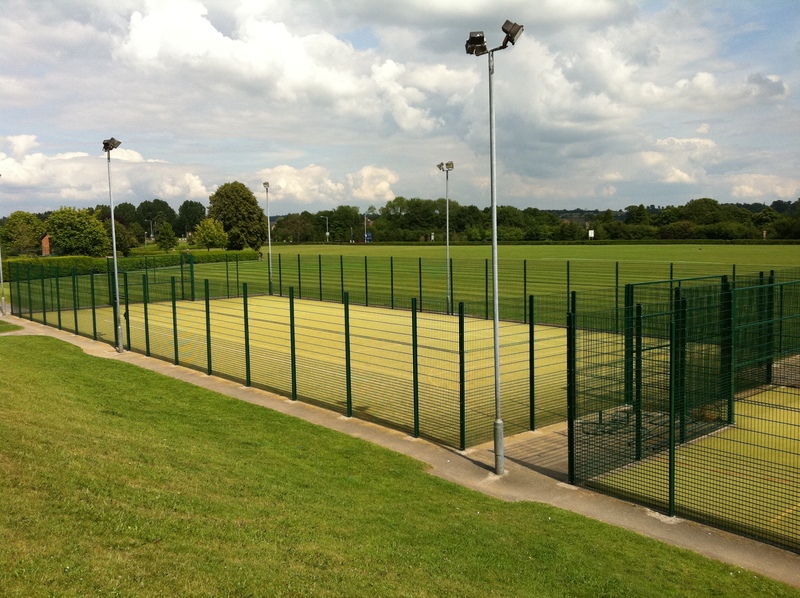 The durability of sand dressed surfacing for hockey pitches means that they can be rented out and used for evening and weekend training sessions and matches, this can increase the revenue of your organisation and go towards the costs of maintenance. 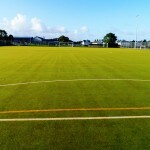 If you would like any further details about the specifications and construction of a sand dressed synthetic turf hockey pitch, please fill in the contact form and we will get back to you with some professional advice regarding costs and prices. There are plenty of options available when it comes to designing these facilities so don’t hesitate to let us know if you have any requirements. We’ll do our best to incorporate these into the facility for you.